FAMILY: Third among five siblings, Jauna comes from a poor family. Her father is a farmer and mother still walks to a distance to fetch water as there is no piped water facility at home. Her family does not have a BPL card. Even now they borrow electricity from a neighbour. EDUCATION: Political Science Graduate through distance education from Sikkim University. PERMANENT ADDRESS: Mayurbhanj, Odisha, India. TYPE OF ATHLETE: 400 metre sprinter and hurdler. 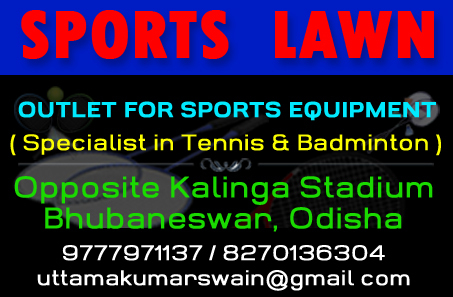 PRODUCT OF: State Sports Hostel, Bhubaneswar. RECEIVED COACHING FROM: Arun Kumar Das and Subash Chandra Dasmohapatra. * Won the bronze meda in 400m hurdles event of the 23rd Federation Cup National Senior Athletics Championship, held at NS NIS, Patiala from March 15-19, 2019. * Won the silver medal as member of the ONGC women’s 4x400m relay team at the 58th Open National athletics Championships at Kalinga Stadium, Bhubaneswar on Sept 28, 2018. * Won the 400m hurdles gold medal with New Meet Record in the 58th National Inter-State Senior Athletics Championship, held at Sarusajai Stadium, Guwahati from June 26-29, 2018..
* Won the 200m bronze medal in the 22nd Federation Cup Senior National Athletics Championship, held at NS NIS, Patiala from March 5 to 8, 2018. * Bagged two gold (400m hurdles, 4x400m relay) and one bronze (400m run) medals for her employers ONGC in the 57th National Open Athletics Championships, held at Jawaharlal Nehru Stadium in Chennai from Sept 25 to 28, 2017. * Won one silver medal each in 400m sprint and 400m hurdles events of the 57th National Senior Inter-State Athletic Championships, held at Acharya Nagarjuna University ground in Guntur (AP) from July 15 to 18, 2017. * Won the 400m hurdles silver medal with a meet record timing of 57.51s in the 21st Federation Cup National Senior Athletics Championships, held at NS-NIS in Patiala from June 1 to 4, 2017. * Won the gold in women 400m hurdles (58.60 secs) and bronze in 400m (53.37 secs) events of the 20th Federation Cup National Senior Athletics Championship, held at J N Stadium in New Delhi from April 28 to 30, 2016. * Won the 400m hurdles silver medal with a time of 59.41 secs and 4x400m relay gold for ONGC in the 55th National Open Athletics Championship, held at SAI Complex in Kolkata from Sept 17 to 19, 2015. * Won one gold medal in women 4x100m relay event of the 55th National Inter-State Senior Athletics Championship, held at J N Stadium in Chennai from July 10 to 13, 2015. * Bagged one bronze medal in women 4x100m relay event of the 35th National Games, held in Kerala from Feb 1 to 14, 2015. * Won one gold medal in women’s 4x100m relay event of the 54th National Inter-State Senior Athletics Championship, held at Lucknow from June 5 to 8, 2014. * Won bronze medal in women`s 400m run, clocking 53.81 seconds in the National Inter-State Senior Athletic Championship at Bangalore on June 12, 2011. * Won the silver medal in women`s 400m event of the National Inter-State Senior Athletics Championship, clocking 52.78 seconds at Patiala, Punjab on August 6, 2010. * Won one gold in u-20 girls 400m run, clocking 56.66 secs and one bronze in 200m sprint (25.32 secs) event of the 25th National Junior Athletics Championship at Warangal (AP) on June 21, 2009. * Won one gold medal each in women 400m hurdles and 4x400m relay events of the 12th South Asian Games, held at Guwahati on Feb 5 to 16, 2016. * Finished fourth in 400m event of the Asian Games at Guangzhou, China. * Won one gold and one bronze in the 3rd Asian All Star Athletics Meet, which concluded at New Delhi on July 30, 2010. Struck gold in women’s 400 metre hurdles event, clocking 57.39 seconds. Claimed the bronze in 400 metre sprint with a timing of 53.17 seconds. Orissa Cricket Association on July 31, announced a cash award of Rs 50,000 for gold-winning performance. * In July 2017, she took admission in Kalinga Institute of Social Sciences (KISS) to pursue Post Graduate course from academic session 2017-18. * She was felicitated with a cheque worth Rs 3 lakh by Chief Minister Naveen Patnaik on the occasion of inauguration of new facilities of Kalinga Stadium in Bhubaneswar on July 1, 2017. * Spent two years in wilderness because of doping suspension and returned to the athletic track during the Open National Athletics Championship, held at Ranchi from Sept 7 to 10, 2013. * Jauna started playing football with boys, excelled in local running competitions that led to her switching over to the track and field. * At village-level competitions she won buckets and other prizes. 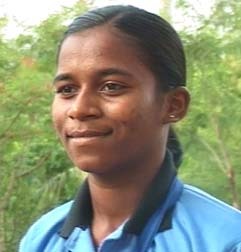 * Made her National debut in the 2001 junior athletics competition at Bhopal. 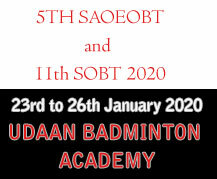 * Honned her skills under the guidance of coach S C Dasmohpatra at Durgapur in West Bengal for some time. * Hailing from Mayurbhanj district, she started her career at the Bhubaneswar hostel and spent five years at Kalinga Stadium Hostel, under the tutelage of senior government coach Arun Kumar Das.